HALIFAX—Moments before the armistice ending the First World War took effect on Nov. 11, 1918, a sniper’s bullet sliced the morning air. It struck a Canadian soldier in the chest as he emerged from the doorway of a house in a small Belgian village. Pvt. George Lawrence Price died minutes later at 10:58 a.m.—a mere two minutes before hostilities ceased. Price, a native of Falmouth, now Port Williams, N.S., was working as a labourer in Moose Jaw, Sask., when he was conscripted on Oct. 15, 1917. 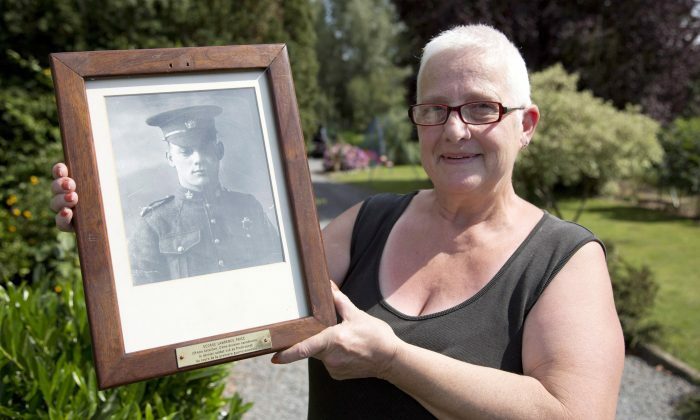 Upon his discharge from the hospital, he returned to his unit on Sept. 26 and was on the line in Canal-du-Centre when he took part in the final action that led to his death. Canadian War Museum historian, Tim Cook, said the Canadian Corps had, in fact, received orders at 6 a.m. on Nov. 11 that the war would end at 11 a.m. that day. Price’s grand-niece, Rhonda McLean, said she was fascinated by his story from a young age.